Most articles you find on the Internet teach moms how to raise their baby and what items are needed most. No one mentioned a thing about dads or if they do it, it never talks about special bonding moments between them and their babies and what stuff they need in order to be good parents. Just like a mother-baby relationship, fathers need to be present in many activities that imply taking care of the baby. In order to do so, they require almost the same amount of baby products that women do. From diaper bags to baby swings, dads use them too so they need stuff if they want to be in charge of the baby nurturing process. If you’re a new dad and feel a tad clueless about which cool baby items for dads works best for you and your little one, let someone else show you some interesting tricks that might do wonders in your life. Our team of experts has a couple of dads on board that made a research based on indicators such as the utility of the product, extra features and personal style and preferences. Read these lines and we guarantee the dad job will get easier for you. There are so many baby items and products that work for dads that you can choose from. It’s all about getting the best baby stuff that is effective for raising a child. Moreover, they shouldn’t lack practicality because most dads don’t know much about taking care of a little one. We have a small presentation below that teaches you what features to look for when in the market for baby stuff suitable for dads. Unlike moms, dads have more practical natures and use any new technology to ensure the baby is comfortable and safe. In order to do so, they use certain items that make parenting seem like a total bliss. If your baby has trouble sleeping you can use a portable spongy mitt that you can place on the baby’s forehead and let them listen to special soundtracks such as white noise, heart beats, ocean waves or rain drops. Just like in their mother wombs, these noises have a soothing and positive effect on babies and it helps them sleep better. Leaving the baby at home with daddy might seem like a total danger but with the help of a top notch video monitor, things can change for the better. There are devices for sale that can stream HD footage while the camera is mounted to a wall or any type of flat surface. Featuring night vision mode, sound detection with visual alarms and a microphone, these monitors are incredibly easy to use and come in handy for a busy dad trying to cope with his new responsibilities. Men tend to carry all their laptop and other important things in their backpacks. Cool and versatile, there are baby backpacks that are lightweight and have plenty of room the child. Moreover, they can be easily converted into regular backpacks with one easy zip. Mothers know exactly when to feed their babies and what temperature the baby bottle must have. Fathers that aren’t exactly experts in this field could find helpful a self-warming bottle that doesn’t need a microwave or a kettle to get the milk warm. Instead, it has a button and a unique self-heating system that gets the job done in no time. Many quality baby products feature interesting settings and accessories that come in handy when taking the baby outside for a walk. If you’re the type of dad that never leaves the house without his car then you should know there’s no reason not to talk your baby for a walk. Without having to carry a car seat and a stroller you get a functional product that transforms from a standards car seat to a pushchair in no time. Quite interesting and lightweight, this item is perfect for doing some shopping or getting your chores done. Back in the days, most parents used a special basket to carry their baby while riding the bike. Totally unsafe and uncomfortable, you now have the option to place your toddler low and between the two front wheels of your bicycle for added stability and control. 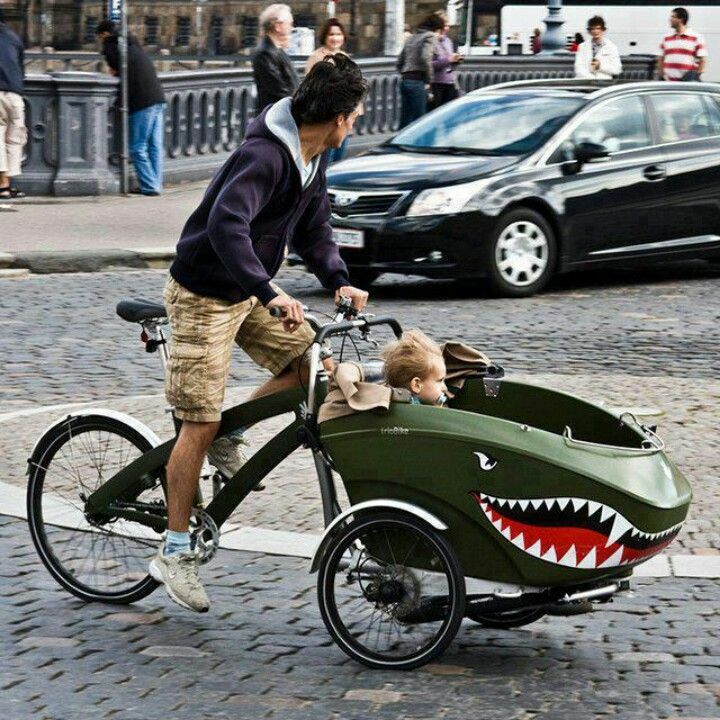 Furthermore, these bikes can be rapidly converted into a stroller. Basically, you can ride with your baby to the local market, get the stroller ready, buy some groceries and head back home effortlessly. You need good baby stuff that allows you to take care of your social life and keep an eye on the baby. When babies sleep, it’s better to leave a mobile attached to their crib, above their heads. If they wake up, they won’t start screaming. Instead, they’ll be captivated by it and will fall back asleep eventually. Most fathers are tech-savvy so it’s no wonder they want to get each memory on camera. You should get a digital camera that lets you record as much as possible. Therefore, invest in a high-storage device or a large capacity memory card and you’ll have many pictures to admire when the baby grows up. An essential item is the baby bags. You can’t leave home without having the entire arsenal prepared if the baby needs to be changed. There are several models for men that look incredibly stylish. Not only diapers are mandatory. Burp cloths are your biggest shield against baby spit. Keep in mind the fact that you will constantly need a new set so have one at hand. There are many books and CD’s that show you special techniques you can use when the baby refuses to calm down or fall asleep. You should always have a book on infant health or a software released by trusted websites that provide information that enables you to be a responsible father. They say moms know best. Indeed, they have a natural way of sensing what the baby needs without even having to be in the same room. If you want to know which products to get and what options you have, you should listen to the mommy expert. She most likely has tons of advice and tips that are worth listening to.